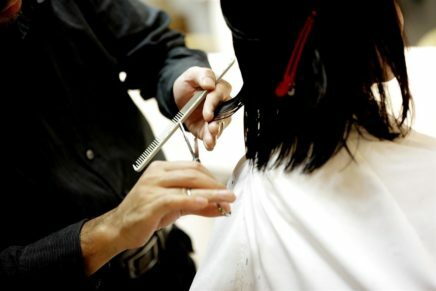 With a part on the right side, separate off a portion of hair from the part down to the left ear. 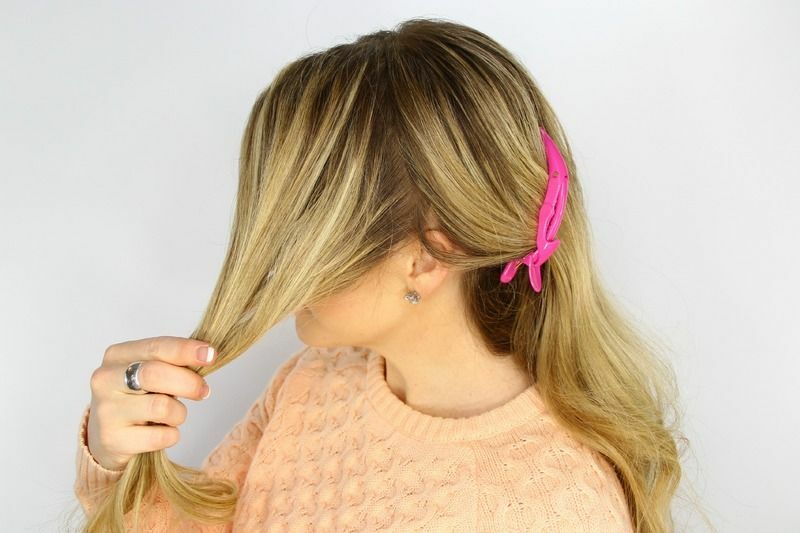 Clip off the back portion of hair with an alligator clip. 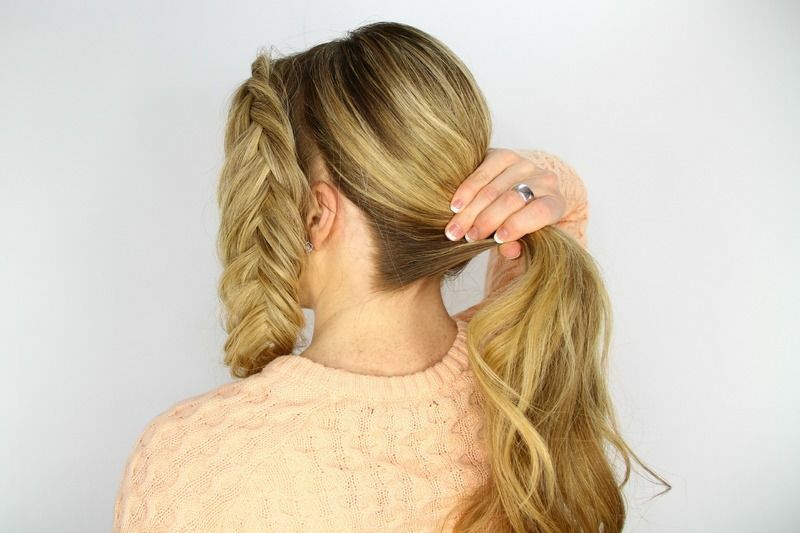 Pick up a section of hair near the part and begin a fishtail French braid. 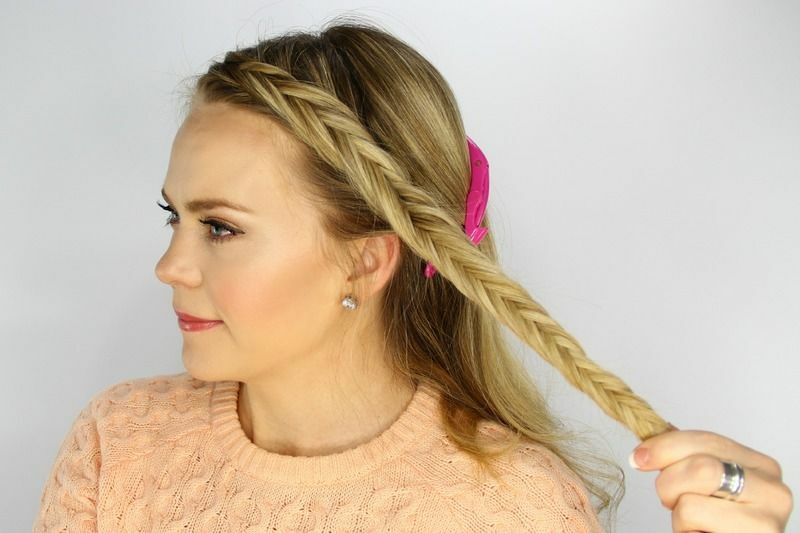 This is done by dividing the section into two halves and crossing small sections of hair underneath to the opposite side while incorporating hair into the braid each time. 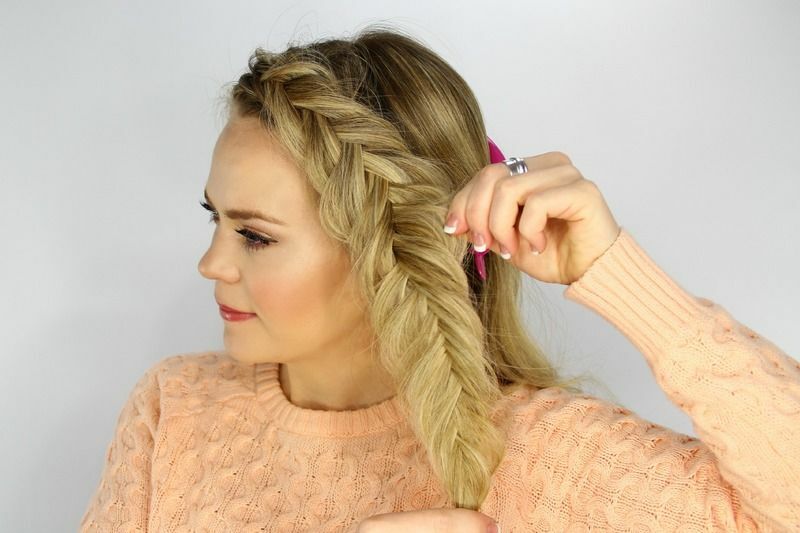 When all of the hair is brought into the braid, finish braiding the section down into a regular fishtail braid. 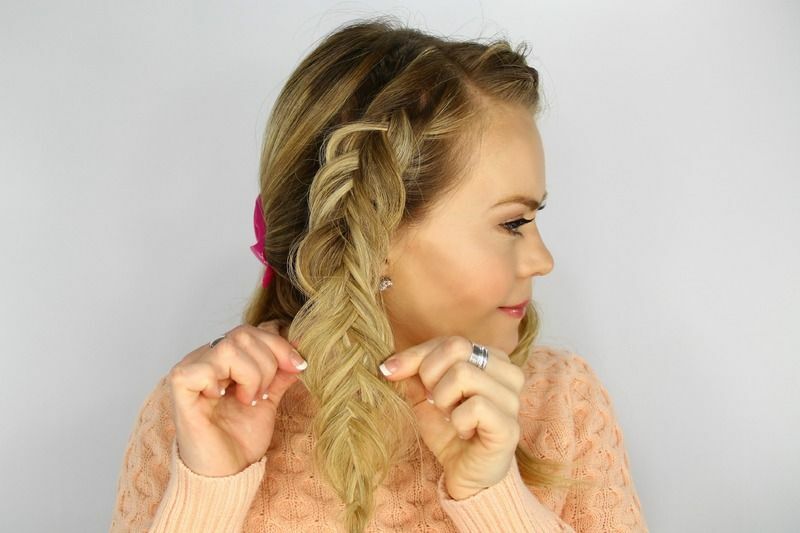 Gently pull on the edges of the braid to loosen and create a fuller braid. Tie off the end with a clear elastic band. Repeat the previous steps creating another braid on the right side of the head. 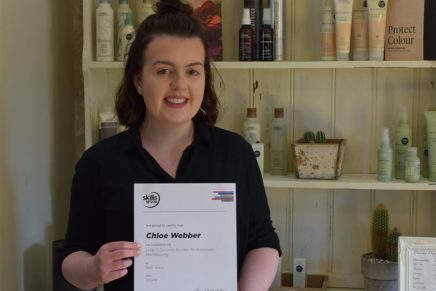 Let down the hair at the back and sweep it up into a low ponytail, tying it off with another elastic band. 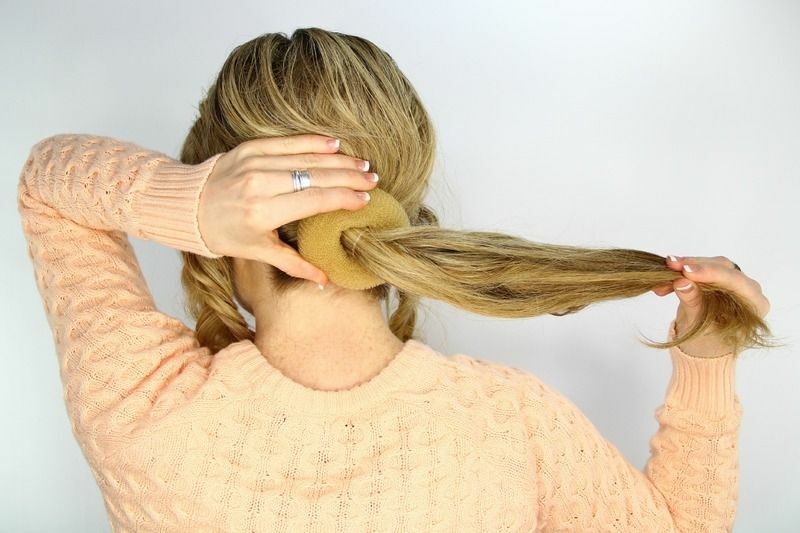 Take a hair donut and wrap it over the ponytail. 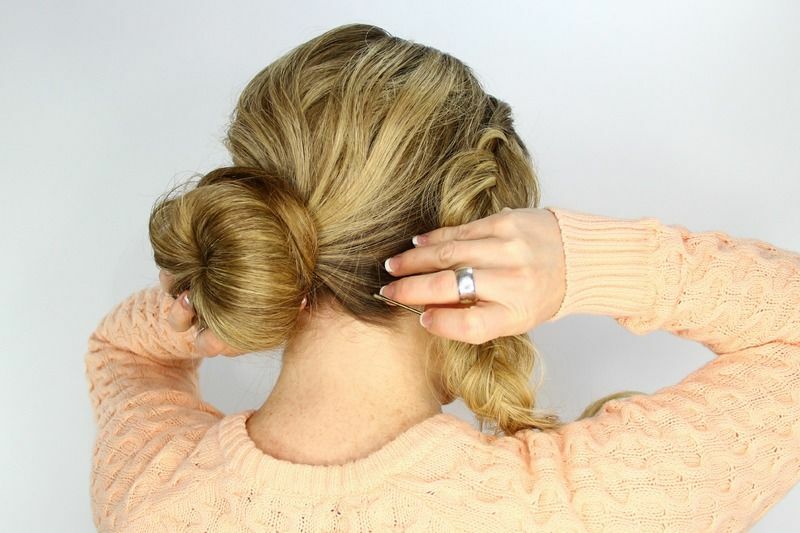 Spread the hair around the donut and wrap another hair band over the top to secure it. 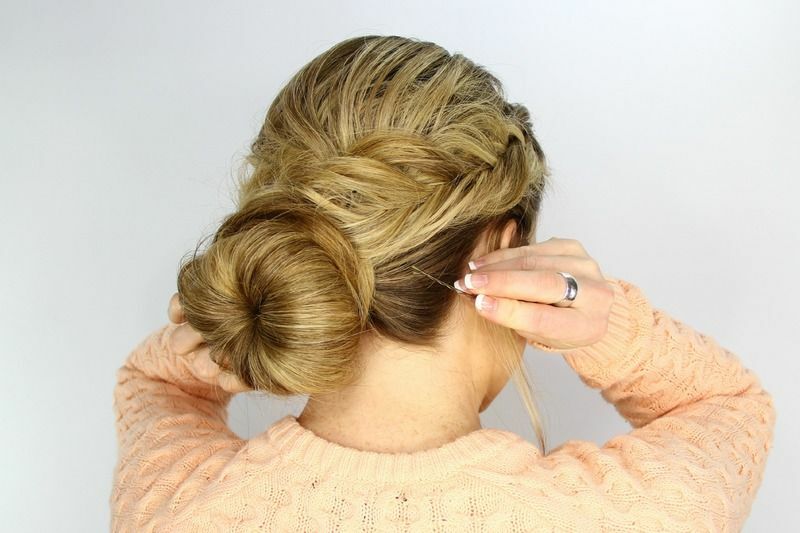 Twist the hair sticking out from the donut and wrap it around the base of the bun. Pin down the ends with a hair pin. 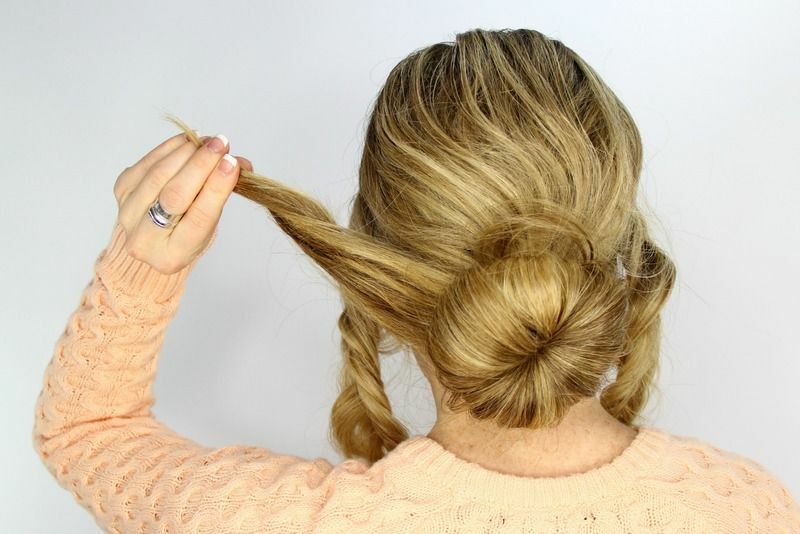 Pick up the braid from the right side of the head and wrap it over the top of the bun and around to the left side. Slide in some hair pins to secure the braid against the head. 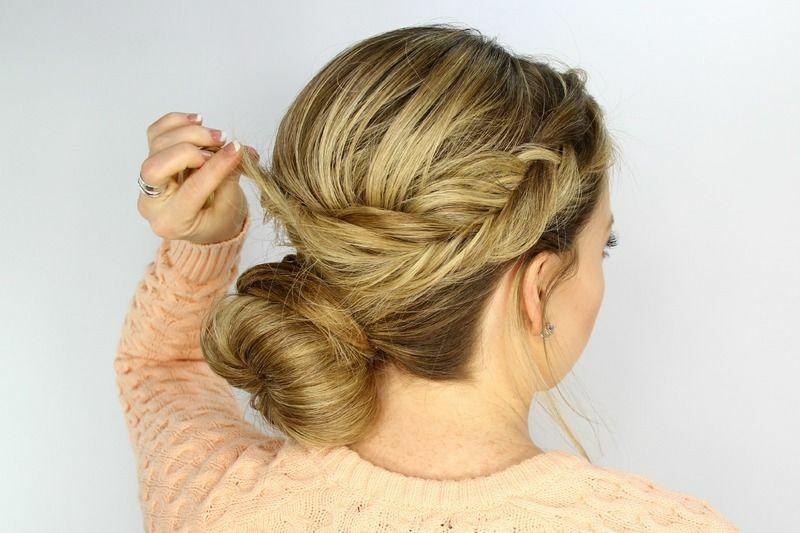 Now wrap the braid from the left side over the bun. 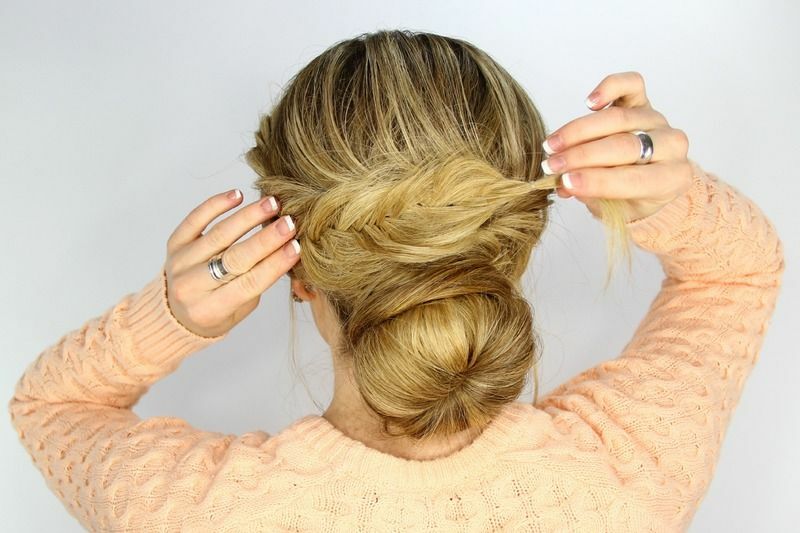 Pin this braid down with another hair pin. Shower the style with hairspray and smooth down any flyaways.